Click on the map to see a low-resolution image of the entire map. The image you see will be reduced in quality for easy web access, but you can see the extent of the detail in your area. 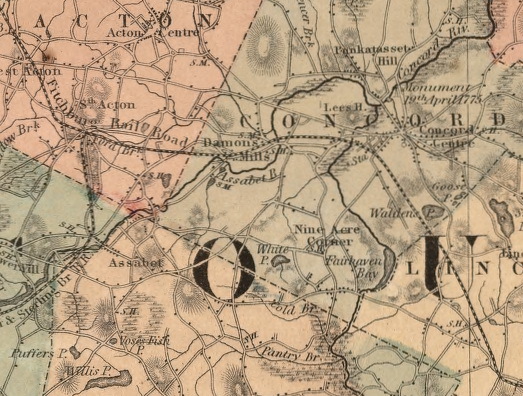 A close-up view of a section of the map, the Concord area. 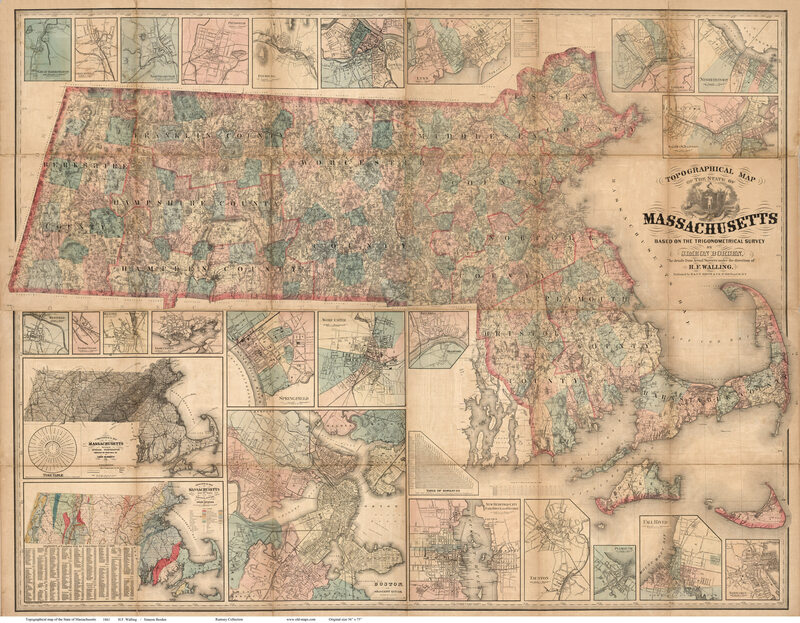 The map was compiled from the very detailed county maps made by H.F. Walling in the 1850s. It appears to show the location of every house in rural Massachusetts. 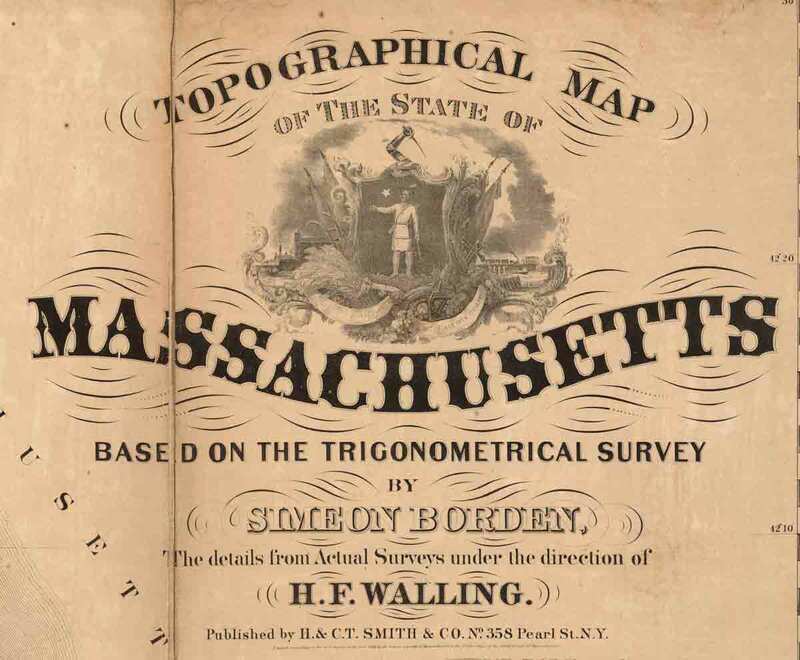 The map is very accurate, as it was based on the high quality surveying done 20 years earlier by Simeon Borden. 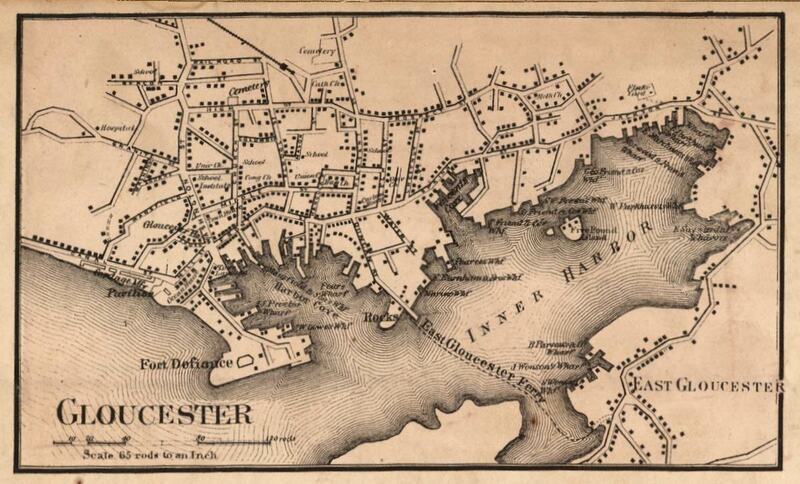 Above: one of many village inset maps from the margins of the large state map.